Want to learn how to make money online, but have no clue where to start? I have been an online marketer for almost 7 years, doing it successfully without too much hassle. After 7 years, I have signed up to a magnitude of learning programs and explored quite a few methods of earning a living online, hence why I feel qualified enough to put together a list of my favorites to help others find the right ones without spending months, hopping from one program to another. And yes, we want to save money right? What influence my decision when picking learning programs? Kept updated - Internet marketing strategies change quite often, what works today, might not work tomorrow. Learning programs with outdated strategies and methods is not worth spending a dime on as you will implement stuff that no longer works without knowing it. The Age – The older the platform, the better. Not only does it mean that the success rate is higher, but also, who wants to spend a fortune only to find months later that the program no longer exist. Success rate – Obviously we need programs with a proven success rate right? Price vs quality and quantity – This is a tricky one, some programs might seem expensive, but they do offer quite a bit. I usually recommend the ones that are an “All-in-One”. Meaning, you don’t need to join additional programs to complete a specific marketing strategy. Price might seem steep in some instances, but if you add everything up, you actually save a lot. Hosting, builders, marketing tools, SEO tools and so forth can add up if purchased separately. Shared Training – With money being scares, I always encourage people to find “partners” to share the training with them whether it is friends or family to save money. Therefore, I mostly recommend learning sites that make it possible for a few people to club together and learn together. WA is a community based website that will teach one how to combine affiliate marketing with website development. Training comes in the form of video lessons that is neatly sorted to make it easy to navigate and stay on track. Apart from the training courses, the site also has one of the biggest and most active online communities with many skilled marketers sharing their knowledge. 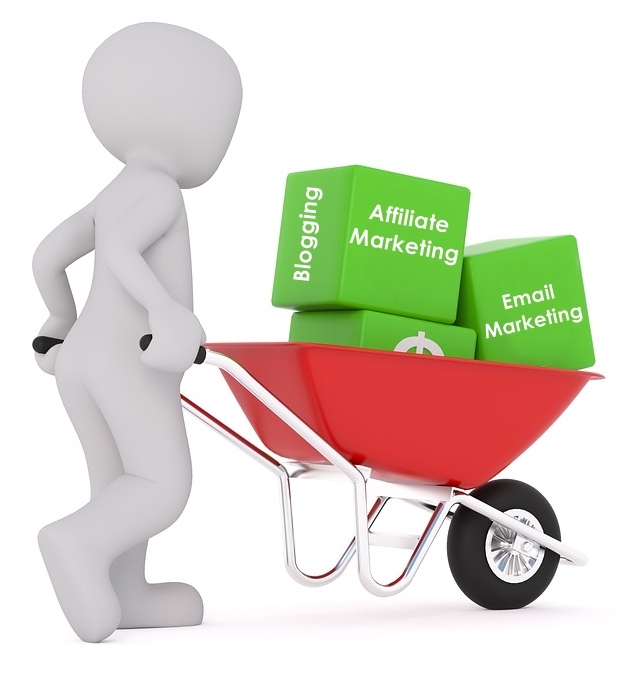 Wealthy Affiliate is basically an “All in One” when it comes to building an online business. It provides all the things you will need to start up, like your WordPress websites, a keyword tool, domains and more. WA is almost 14 years old, making it reliable and up to date with the latest marketing and website development features. Task based courses and Interactive discussion. My training activity feature – Keep track of what you have learned. Training HQ – Hundreds of tutorials neatly sorted from newest to the oldest. Online Entrepreneur Certification consists of 5 phases, aka 50 lessons. WA offers fast, reliable and secure hosting for your websites. Page load time of about 1.3 seconds. Double Host Your Site – Feature that cuts down on downtime. WA has a WordPress website builder that is easy to move to another host if you cancel the subscription. Build on a free domain, a domain you already own or register a new one with WA’s site domains. FREE SSL Certificate for all Premium websites. With WA’s Site Content you can easily and comfortably manage, creating and designing your content. Site Comments – Earn credits for commenting on other WA websites or request comments for your own site to help better ranking. WA has one of the biggest active online communities. Live chat available 24/7. Free membership is not limited to a certain time period. You can stay a free member as long as you like. 7 Day grace period for paying your premium membership. Premium membership not limited to only one website, build multiple websites. Premium: $49.00 per month or Yearly at $359 - Unlimited access to everything. Solo Build It, is an Affiliate training and website building, membership site. It provides the necessary tools needed for building the perfect money website with lessons, articles, tools and so forth, to help you to become successful at profitable website development. To sum it up... SBI is a platform that teaches and helps people to build websites and then earn a passive income from those websites.Ken Evoy founded the membership site back in the 90's, making it one of the oldest programs around. Everything you need to build a website and start your own business is located in one place, no need for outsourcing. Tutorials that includes video and written text. Hosting and a domain is included in the initial purchase. Hosting is unlimited and reliable. A fully integrated email service is included in your plan. Traffic Building System is a group of tools designed to help you build traffic and rank your website. The price to join SBI is $29.99 per month, or $299 per year, which will save you about $60. They have a 90 day money back guarantee, which allows you to purchase SBI risk free. With this program you will learn how to get started with affiliate marketing and how it works. Training comes in the form of lessons, blog posts and video’s. The advanced training is a bit on the pricy side for those with a limited budget, but the free training is definitely worth checking out as it covers quite a bit. Affilorama was founded in 2006, making it a reliable learning platform. A magnitude of Free Lessons that covers content creation, market research, site building, SEO and so forth. Affilo Blueprint - A course that will show you, step by step, how to build profitable websites. Online support articles, covering a wide range of topics. AffiloTools: Free to join the Basic Plan. The Bronze is $17 per month, the Silver $47 per month, and the Gold $97 per month. You can pay $1 for a 30 day trial of the Premium Plan. Inbox Blueprint is a learning course that will teach you how to create an online business, using email marketing. It is divided into 8 modules/steps. These steps will teach you all the basics and advance methods of building a list and how to profit from the list. It focuses on Affiliate marketing, so you do not need to spend the time and effort of having to create your own products. Anik is one of the most successful online marketers and created a multitude of good quality products over the years. Well worth spending money on his training. The training covers everything there is to know about email marketing. Easy to follow, in both video and written format. 3 Payments of $397 or a single payment of $997 which will save you $194. There are no Up-sales or extra costs, everything is included. FB Academy will teach you how to master Facebook advertising. . You can make use of this method no matter if you own a business or if you are marketing someone else’s company. This is very important, since it is crucial to know how to drive massive amounts of traffic with the use of social media such as Facebook. You will receive a Certification for Facebook Advertising after completing the course. This will make you a certified Facebook Ads Expert, giving you instant credibility if you are looking for a job in Social media advertising. Training is up-to-date, meaning, you do not pay a fortune only, to receive lessons that should rather be kept in the stone age. Up to date, Step-by- step training that is quite easy to follow and each module comes with its own video. Niches that is done for you, to save money and time. Keep in mind, there's always a discount, so it will be best to see which discounts are offered at the time of signing up. Do you use one of the programs mentioned above or have you used it in the past? Storage is 30GB and you can have up to 30 websites. If you already have WordPress websites, they can be moved to WA. Niche marketing is the perfect choice, so much options and marketing strategies to choose from. So yeah, if you want to build a bunch of niche sites, WA will work out great. Since it is WordPress, you can move them later on, if you are not satisfied with the platform. Thanks for visiting, much appreciated!